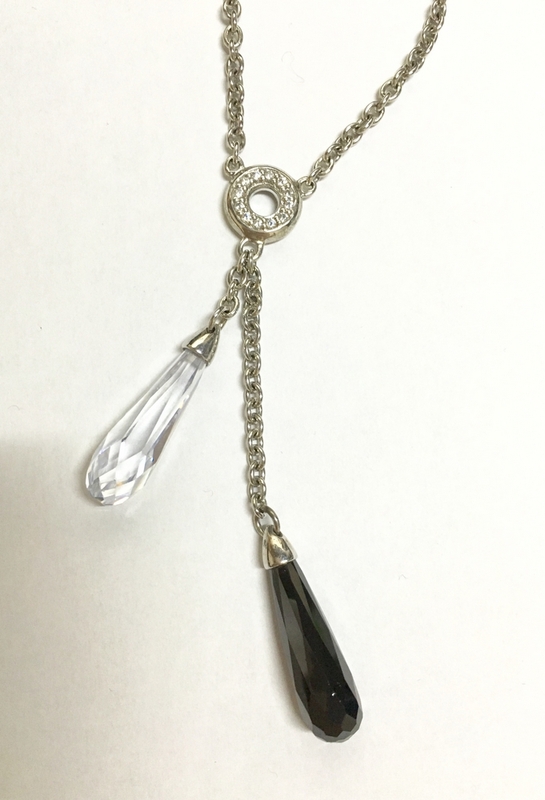 PENDANT sterling silver with SWAROVSKI Crystal and black white. Long TOTAL 55 CM. tears SWAROVSKI 3 CM. EARRINGS with hook clasp sterling silver and SWAROVSKI Crystal white in.